This summer season things are heating up on the blog. We’re showcasing all the ways our agents give back to their community in a Summer Event Series. This series will allow you (the potential client) to see what we’re up to outside of the office rather than just inside. With the summer months in full swing our agents have been basking in the sun by actively participating in localized events across the state. Their recognition for all the initiatives they participate and contribute to do not go unnoticed by our management team. Hours spent volunteering, participating and putting on such events are acts that build onto our brokerage’s core values. We think it’s time for potential clients to take notice of just how giving our agents truly are within their respective communities. One of our five Columbus offices is located in the heart of Gahanna on the Creekside Plaza. 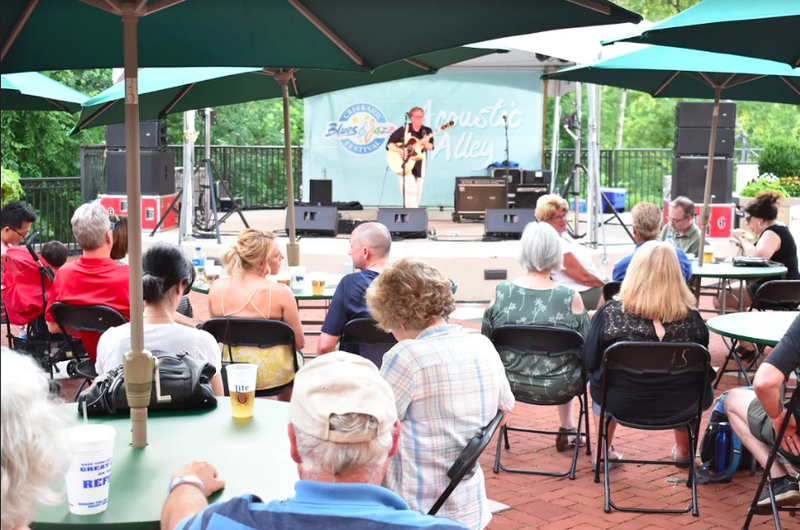 Each June Visit Gahanna holds a Blues & Jazz Festival on and around the plaza and our office gets a front row seat to all the activities. So, naturally our agents stepped in to help out with the community’s largest annual festival. The Berkshire Hathaway HomeServices Professional Realty- Gahanna office was a supporting sponsor of this annual event celebrating its 20th anniversary. The brokerage has sponsored the community event in past years, showing their loyalty and support of the community. Not only did this opportunity increase foot traffic past our office space, but it allowed Brandy and Josh to interact with potential clients in their market. This valuable experience benefits both buyers and sellers while also spreading the Berkshire Hathaway HomeServices Professional Realty brand name throughout the state of Ohio. If any agents have initiatives or events they are participating in, please contact amatney@bhhspro.com with the details so we can showcase your voluntary time and effort.